Of Choctaw descent, David Carson has absorbed and sought out Native American spiritual knowledge since growing up in Oklahoma Indian country. He distilled some of that knowledge in his Medicine Cards, the hugely successful divination system based on traditional animal medicine that became a New Age best-seller in the 1990s. 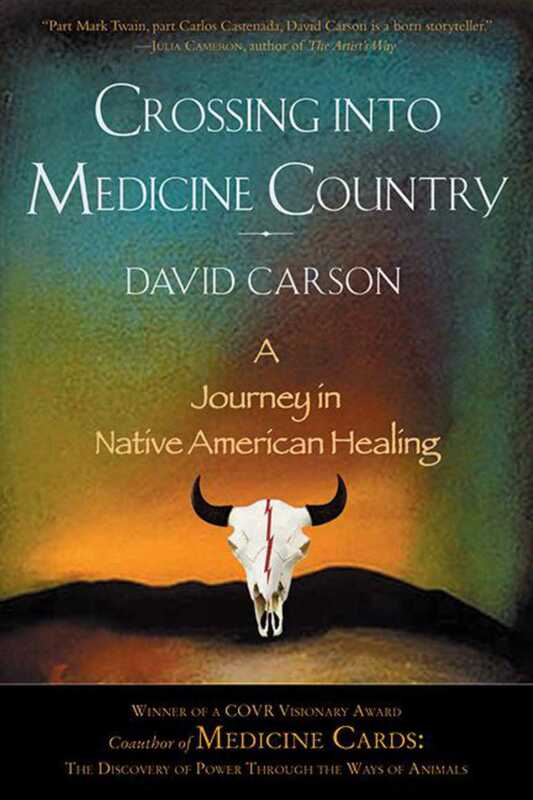 In Crossing into Medicine Country, he tells the story of his initiation as a conjure man—a ceremonial healer—with the Choctaw medicine woman Mary Gardener. For three years, he studied the art of power plants and medicine animals, how to manipulate the layers of energy surrounding human beings, and how to use sacred tobacco in ritual, curing, and divination. Through Mary Gardener's teachings, often conveyed through folktales of the primordial healer Yellow Tobacco Boy, and through his own, sometimes mind-bending experiences, Carson gives us a glimpse into an alternative reality, in which health and illness express the balance between man and nature, and Western notions of physics do not operate. A fascinating narrative of self-discovery, here is a work rich in spirit and Native American lore that will appeal to anyone interested in alternative beliefs.